UPDATE: Mr. Grant has been located without incident. COCOA, Florida -- The Brevard County Sheriff’s Office is attempting to locate a missing and endangered adult, 45- year-old Dana Grant of Cocoa, Florida. 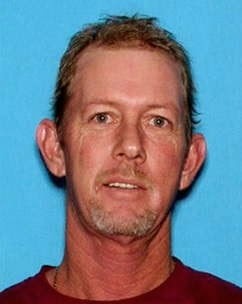 According to BCSO, Grant was last seen in Cocoa on October 17 at approximately 3:30 P.M., driving a black 2002 Lincoln Navigator with a Florida tag T65-8NM. The vehicle has black and silver rims, a dent on the back bumper, and a blue Guy Harvey sticker on the rear window. BCSO advises the public to use caution if you come in contact with Grant because he is believed to be armed, and to notify law enforcement immediately if you are aware of Grant’s location. Anyone with information about Grant is asked to call the Brevard County Sheriff’s Office West Precinct General Crimes Unit at 321-617-7306 or CRIMELINE at 1-800-423-TIPS (8477). All calls to CRIMELINE are confidential.